Long before the book-turned-movie Eat, Pray, Love came out, Bali is already on my list of must-see places. Although it seems like a stone's throw away from the Philippines, it took sometime before we finally decided to visit this neighboring island. Early this year, one of my high school bestfriends Monnette and I came across a Philippine Airlines promo fare advertisement and saw that Bali tickets were on sale. We checked our planners and agreed to go on a Bali adventure in August. It's now October but we still can't get enough of Bali. We wanted a super relaxing vacation and heard from friends that the best way to make the most out of our stay is to rent a car with a driver and chill the day away. And so we did our homework and searched online for car rental services. 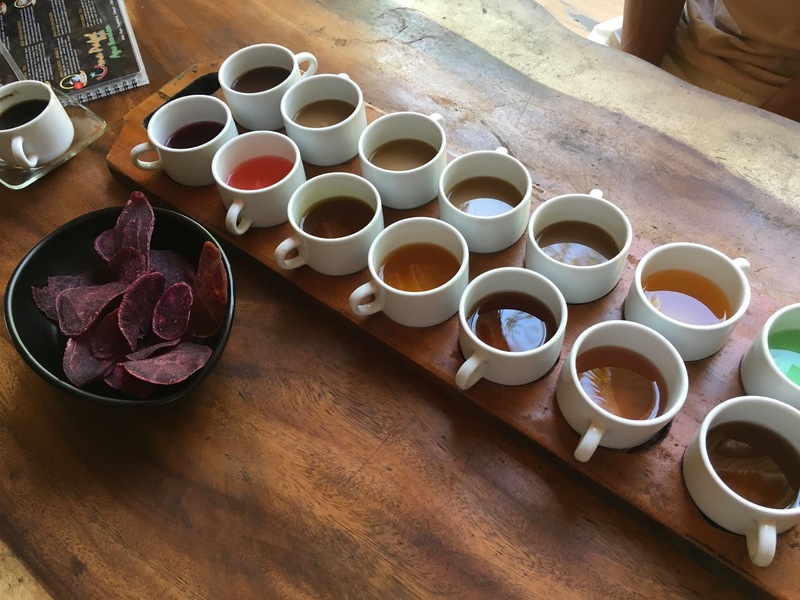 We stayed in Ubud and Seminyak, but I can't really say which I liked better. Ubud was cosy and quiet... its streets filled with so much art and culture, while its country side has lush greens and rice paddies... quite a feast for the eyes. Seminyak on the other hand is a little more hip and youthful. This quaint side of town sleeps in the morning, and parties all night. I thought I won't like the place, but the shops and cafes which lined the street are so pretty, everything is actually Instagrammable. There's a common notion that Bali is for lovers... Well, maybe. I think it is made for honeymooners- especially if you see the villas, spas etc., but the place is still perfect to be enjoyed alone, or with the company of great friends. Day 1: Ubud Royal Palace, Ubud Art Market, Goa Temple. Lunch at Warung Babi Ibu Oka, Dinner at Bebek Bengil, and Seniman Coffee Studio, all in Ubud. 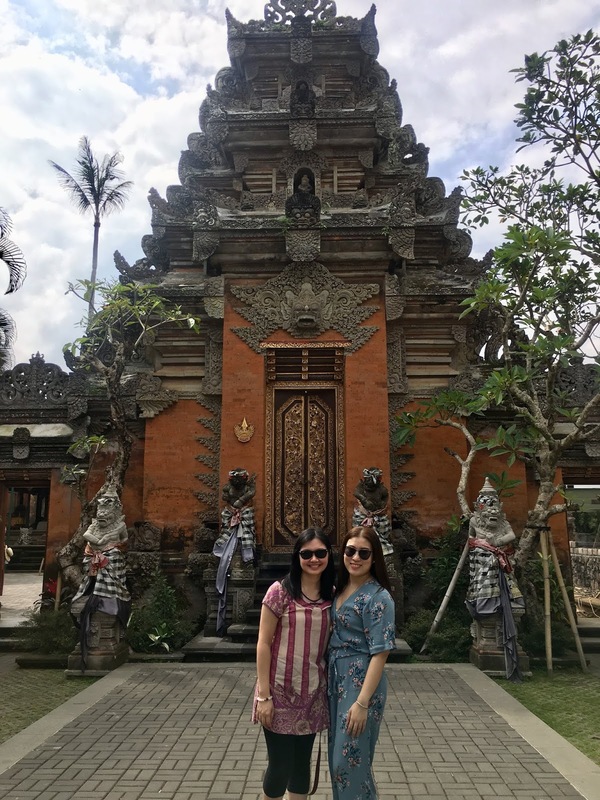 Day 2: Coffee Plantation + Ubud Swing, Tegallalang Rice Terraces, Tirta Empul, Pura Lempuyang (Skip Pura Lempuyang if you don't have time, we waited in line for 1.5 hours just to have our photo taken at the 'famous gate'). Dinner at Naughty Nuri Ribs. Day 4- Seminyak: quiet walk by the beach, lunch at Angelfields, coffee at Revolver, 2 hour spa at Bodyworks (omg heaven!!! ), and dinner at Bossman before heading to the airport. The best place to get your USD changed to IDR is at the authorized money changer in front of Ubud Tourist Information Center. You can also have your money changed to local currency at the airport (inside the airport!) but the rates are lower. Some would suggest withdrawing cash using your ATMs. Do all these, BUT AVOID MONEY CHANGERS ALONG THE STREETS AT ALL COSTS. I wrote that in all caps, because we were almost scammed by this dodgy money changer in Seminyak- photo below. They will mislead you by giving you 50,000 IDRs instead of 100,000 IDR bills and will count the notes repetitively, in different batches. Glad we noticed it right away. We wanted to spend our remaining US$ 100, so we thought of having it changed at those stalls along the street because it was easier that way... but wrong move. Please be warned! Avoid this money changer called PT. Indoparita located right next to Havaianas in Seminyak.